That’s the number of children who have sat in portable dental chairs in the comfort of their own school building while staff from Tri-Lakes Community Health Center talked with them, laughed with them, and set them up for a lifetime of healthier teeth. Through a grant from the Skaggs Foundation, Tri-Lakes Community Health Center in Kimberling City was able to purchased portable dental equipment to go into the Reeds Spring and Blue Eye School Districts and provide free dental care to any child who needed it. The children who have insurance or Medicaid have their insurance billed, while the grant covers any cost that their insurance does not. For the many children who don’t have dental insurance, the grant covers the entire cost of their visit. Included are dental screenings and exams, cleanings, x-rays, and sealants. 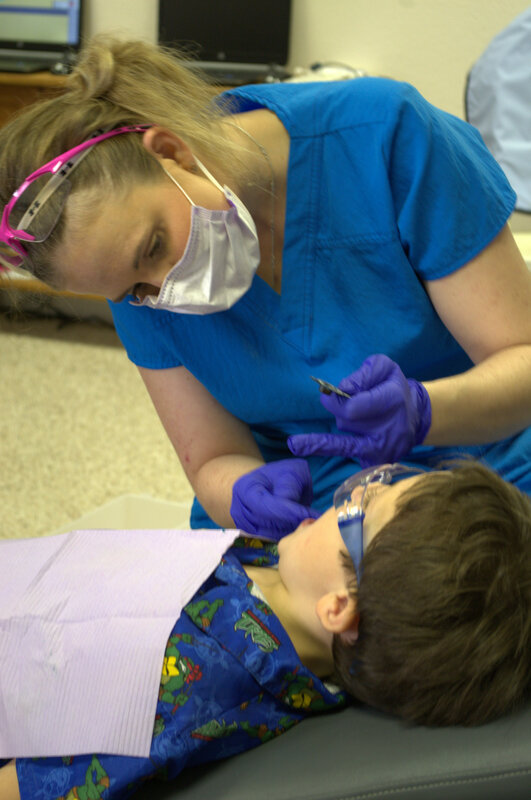 Any child who is found to need other work, like fillings, is referred to their regular dentist, the Tri-Lakes Community Health Center, or another dentist who can accommodate the child’s insurance (or lack of insurance). “Through this program, many, many children who otherwise may not ever see a dentist can have basic, preventative services done in a location that makes it easy for the parents and comfortable for the child,” said Robert Marsh, Executive Director of Fordland Clinic/Tri-Lakes Community Health Center. “The best model is for a child to have routine visits in a dental office twice each year, but for some of these children, that just isn’t possible. Dental staff visit the Reeds Spring school twice each year, in the spring and in the fall, and visit the Blue Eye school each spring. The grant also covers visits with the OACAC preschool in Reeds Spring. “Being able to work with these kids at the school was truly a blessing, to them and to our dental staff. There were kids who had never been seen by a dentist before and had no idea how to brush their teeth or even ever heard of flossing. Some of the children were very hesitant and nervous when entering the clinic area, but by the time they were done with their cleanings, they were excited and happy about going to the dentist. One little girl, in particular, had major dental decay and needed a lot of treatment. She was seen at our office and set up for dental surgery at the surgery center to get all the treatment done at once; which helped make getting her treatment done a better experience. 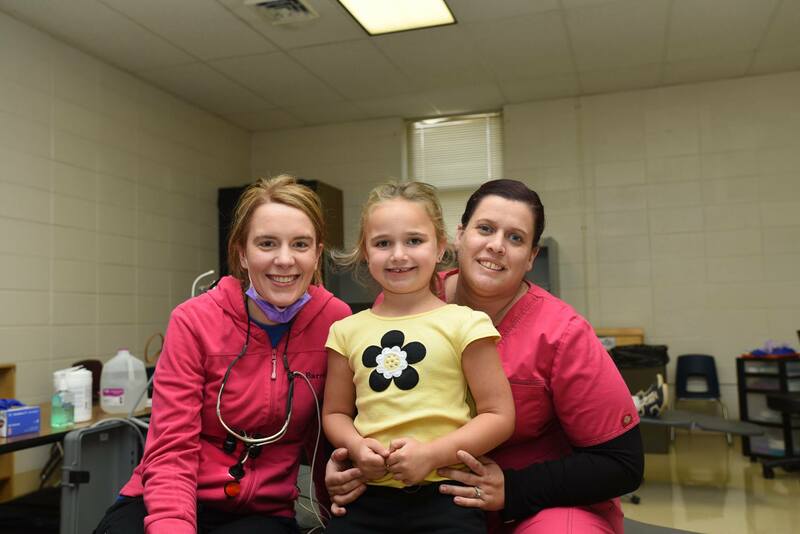 Having these exams, cleanings, and x-rays done at the schools are very beneficial to the kids’ oral health and helping parents know the kids’ oral health status,” said Monica Tubbs, dental assistant. Tri-Lakes Community Health Center is entering its third round of funding through the Skaggs Foundation and anticipates serving over 600 children this spring.